Today we’re bringing you an interview with Bari Baykal, a DP and photographer based out of Turkey and England. Bari is Sony’s independent certified expert, Phase One’s ambassador and actually our very own affiliate. I interviewed Bari about shooting his latest documentary and what’s it like to shoot in extreme conditions. 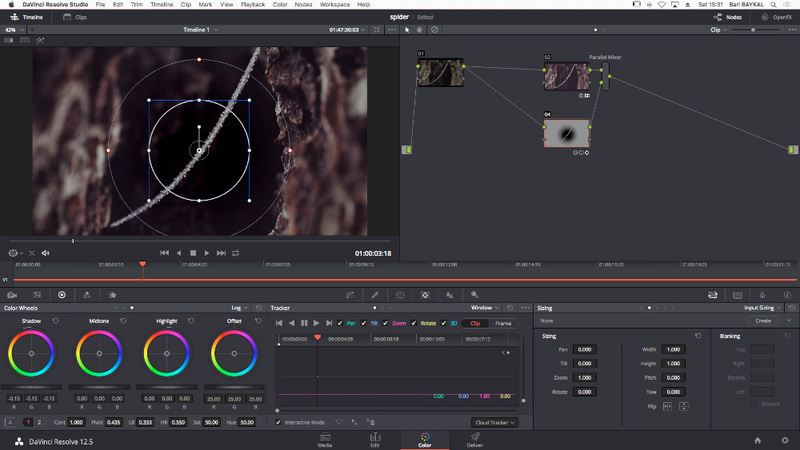 Bari was kind enough to share with us some behind the scenes insights from his work and the process behind creating the documentary for which he’s using our LUTs in the color grading process. “I was born and raised in Mannheim/Germany and I started capturing photos when I was 9 years old. It all began with holiday memories when my mother bought me my first 35mm Yashica film camera. When I was 11, I had the chance to film some skateboarders with a Sony Handycam, a camera my father actually bought for himself but never had the chance to use it. I’m a commercial photographer and a DP working for many international brands on documentaries and advertising spots. In the past I used to work as a still photographer for Castel Film studios in Romania/Bucharest where it was a nice time to work on Hollywood sets. But most important it is not how you use the light, but where you put the shadow. Let’s talk a bit about work. What do you mainly shoot today? Why this? What is it you like about it? Documentary was shot in some pretty intense conditions. Tell me about it. 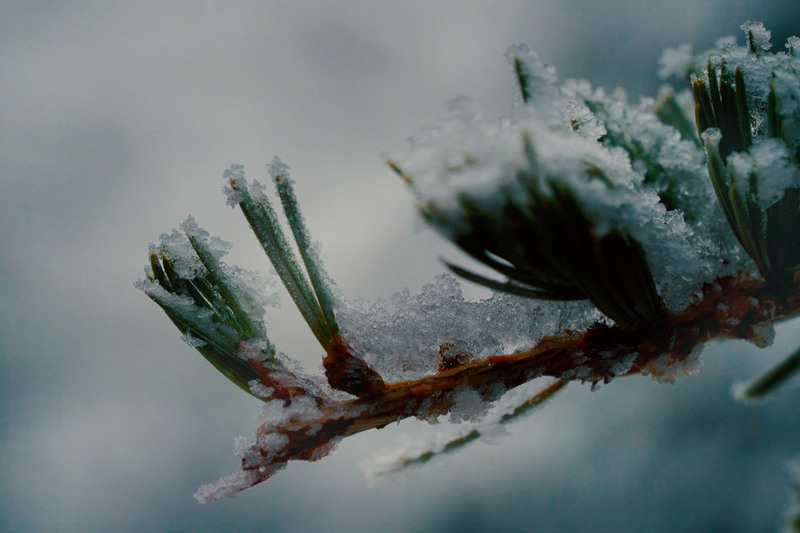 “Filming in the cold snowy weather can be very difficult especially for the batteries, sine they’ll empty faster when the weather conditions are under 0 degrees Celsius. What I did is stitch a small pillow filled with sheep wool to keep the batteries warmer. You’ll still need to have plenty of batteries with you, but it does make a difference. When we were filming in the mountains we had snow everywhere, and filming in S-LOG, I say S-LOG because we filmed the documentary with the SONY PXW-FS7, SONY PXW-FS5, and some A7S2, can be somewhat confusing. You have to take a good care of your exposure. On one hand you don’t want to loose details, on the other, you want to have as little noise as possible so you’re going to overexpose. I overexposed 1 or 1.5 stops higher. When you have snow around you already have 2 stops of overexposure in your viewfinder, so I recommend to use the histogram feature and IRE to read your numbers, otherwise you risk overexposing objects in a way you can’t correct later on in post. My recommendation is to use ND filters for finer control. We were lucky to shoot Sony, because Sony broadcast cameras have variable ND filters in camera, which is very important. You see, shooting out in nature, you do not always have clean hands and conditions are not optimal to say the least, so filters you put in front of the lens easily get scratched, dusty or dirty. You’ll have to use a polarizer on the lens though, as in snowy weather conditions, you have to have a way of controlling shine and reflections. White Balance is another issue. Setting correct white balance is extremely important because weather conditions can change any minute. Try to set your white balance in every scene if possible. If we have to be quick in some scenes or there’s an animal we have to react to, I share the Kelvin temperature with my camera crew so that they use the same setting as I do. Later on, as we’re on the same page, it’s easier to correct the footage if needed. 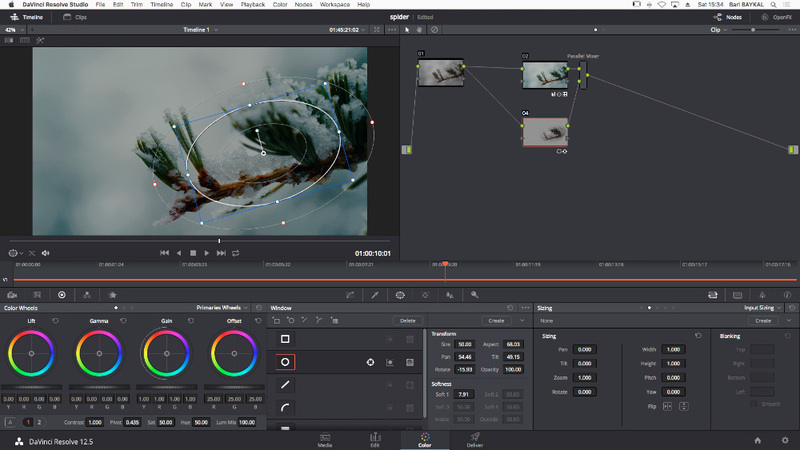 Using a color checker from X-Rite or DATA Color Spyder Checker can save you a lot of time in post. My last recommendation for videographers who want to film in the nature is, always take a soft pillow with you. Let’s talk a bit about the color. What did you do color-wise? “I want my colors to be driven by emotions. What does that mean? When I’m filming the first thing I check is the weather. Light is everything and shadows define the edges. They are what brings everything into the right shape. I try to communicate these emotions to the viewer. 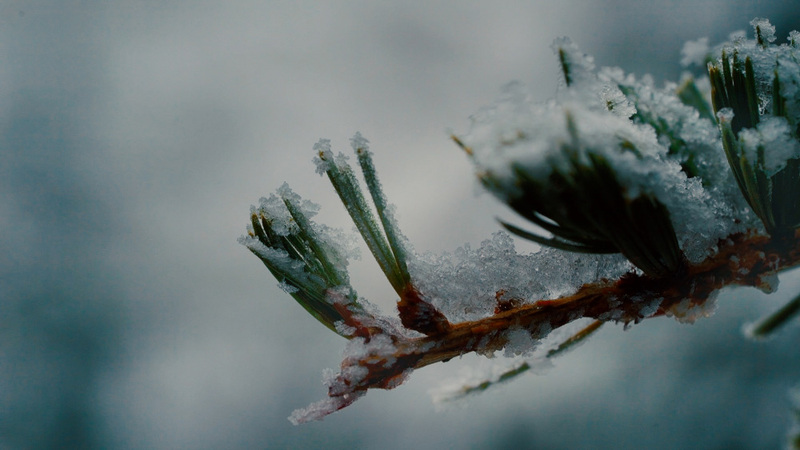 The branch that you see was filmed between 4-5 pm and it was snowing, so cold weather and the time of the shoot tell me “this should be blue”. Specifically, soft blue light with plenty of contrast. That’s what I try to achieve in the grade. 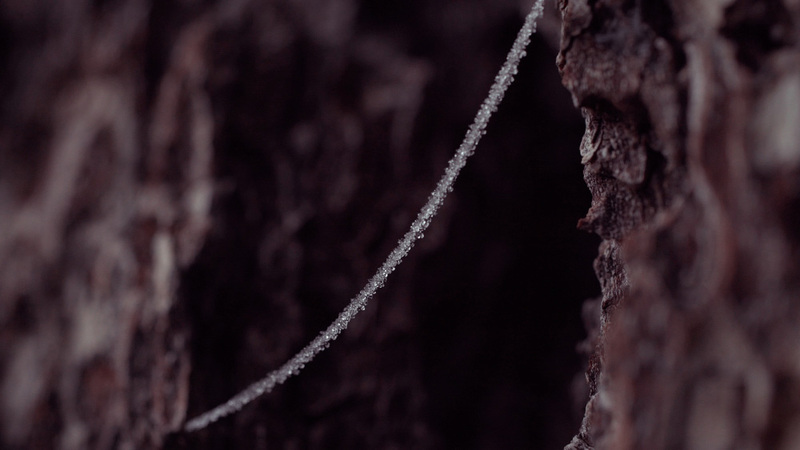 The spider web footage is set in the hole of a tree. I was lucky to have a deep shadow behind the subject to bring out the web and see more details. To show deep macro shot you have to use deep colors. Eventually I decided on going for a warm, brown-ish look. While this may sound counterintuitive to the frozen drops on the web it helps me keep viewers eye longer on the shot. You see, the center of a human eye is always in the middle but your perspective isn’t in my control. So I gave the footage a warmer and calmer look to keep viewers eyes longer on the shot. “These two shots were actually shot in Rec.709 so no log conversion was needed. For the web shot I used the Talc LUT, reduced contrast and slightly raised the shadows in the middle of the shot. Would you say that without the LUTs your turnover would be slower? “Definitely yes! Creating your own look takes time and patience. When you need a fast turnover, LUTs are a must. Is there any particular style of color grading you find yourself attracted to? Why this? May I ask what is it that you most like about our LUTs? Which are your favorite? Could you share with us your thought on the Sony’s image? 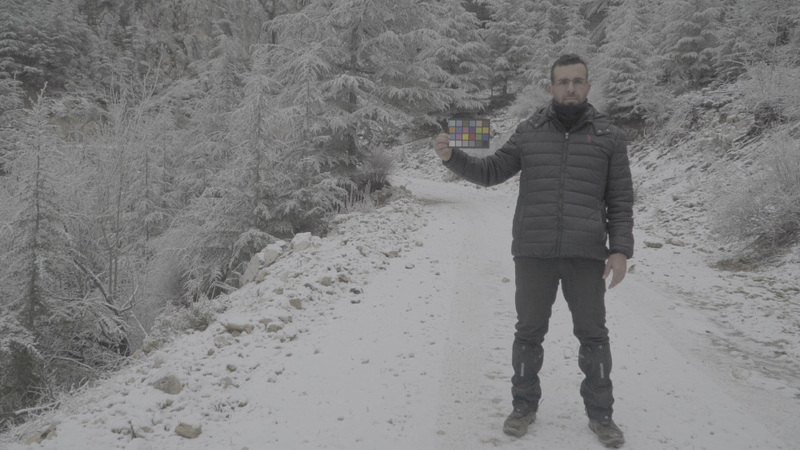 Any advice for shooters using our LUTs with the range of Sony cameras? My advice for videographers using LUTs would be to shoot in 10-bit at least. It makes a huge difference when you color grade your footage. Thank you Bari for taking the time to do this interview. It was a pleasure! Keep doing the excellent work that you’re doing. For more of Bari’s work visit his website or his Instagram profile. Tagged Bari Baykal, Behind the scenes, Interview, Sony.